Mobile Raptor: Is this what Windows Phone 8 will look like? 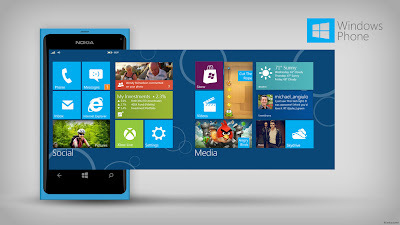 Is this what Windows Phone 8 will look like? RVanhuawere has created a concept of what the Windows Phone 8 user interface might look like, and I think he is pretty much correct. With Windows Phone 7 and 7.5 you scroll through the live tiles in a vertical fashion, while on Windows 8 Consumer Preview you scroll across different clusters of live tiles horizontally. This concept drawing of what Windows Phone 8 might look like makes sense. It would unify the look and feel of the phone operating system with that of the desktop and tablet operating system. We do not have long to find out. Details about Windows Phone 8 Apollo will be revealed at the Windows Phone Developers Conference to be held on June 21-22, 2012. Not my idea, but I agree, a solid UI design concept. Nokia Lumia 610: Revealing chinks in the armor?